The former chairman of the National Labor Relations Board issued a letter stating a bill pushed by union leaders and supported by a number of Democrats would be pre-empted by federal law and likely be deemed invalid, unenforceable and unconstitutional. “The legislation would likely be declared invalid and unenforceable because it is preempted by the NLRA (National Labor Relations Act), and the legislation may also be deemed an unconstitutional restriction on free speech and the free exercise of religion,” wrote Philip A. Miscimarra who served as chairman of the NLRB from 2013 to 2017. The letter was written to President of the Connecticut Business and Industry Association Joseph Brennan. The bill was drafted into a committee bill by the Judiciary Committee, which is set to have a meeting on Monday and faces a joint-favorable deadline of April 12. The legislation, if passed, would restrict employers from holding mandatory meetings with employees to talk about political issues, including unionization efforts. Business organizations, including CBIA and the Connecticut Hospital Association, have pushed back against the legislation in previous years claiming it restricts their freedom of speech and is pre-empted by the NLRA, which already governs freedoms and restrictions for employer/employee interactions. This is the fifth attempt in the last ten years by union leaders and supportive Democrats to pass the legislation. Previous attempts were torpedoed by Attorney General George Jepsen’s formal opinion that the law would be pre-empted by the National Labor Relations Act, which governs how businesses and labor interact. Supporters are hopeful that this year will be different. 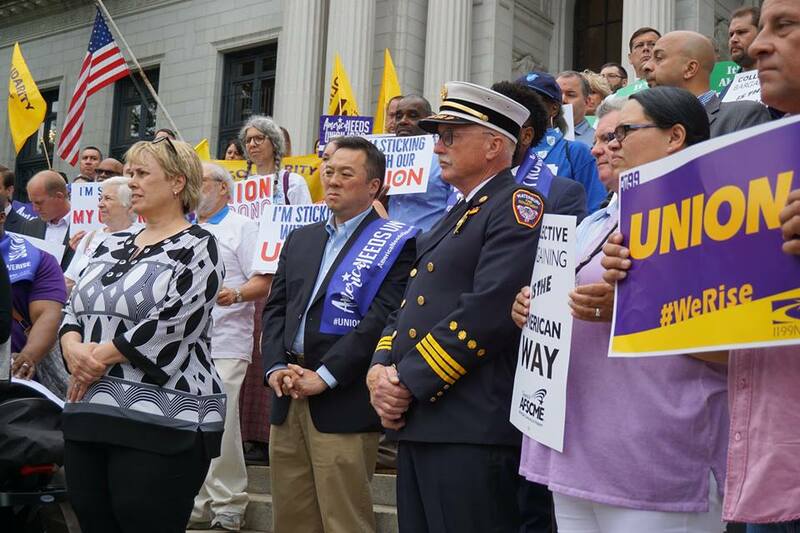 Newly-elected Attorney General William Tong supported the legislation when he was chair of the Judiciary Committee in 2018 and his campaign was strongly supported by Connecticut’s unions. Passage of the bill could likely result in a lawsuit that the state of Connecticut and Tong would have to defend in court. Tong has yet to give an opinion on the matter, but Labor and Public Employees Committee member Geoffrey Luxenberg, D-Manchester, told the Labor Committee on February 7 he had unofficial word that Tong believed the bill is legal and supported it. The Labor Committee passed a separate version of the bill on March 14, but the legislation will now be debated by the Judiciary Committee at their meeting on Monday. In testimony before the Judiciary Committee on March 18, Yankee Institute Policy Director and former law professor Scott Shepard said the legislation violates Freedom of Speech and opens the state up to legal action. 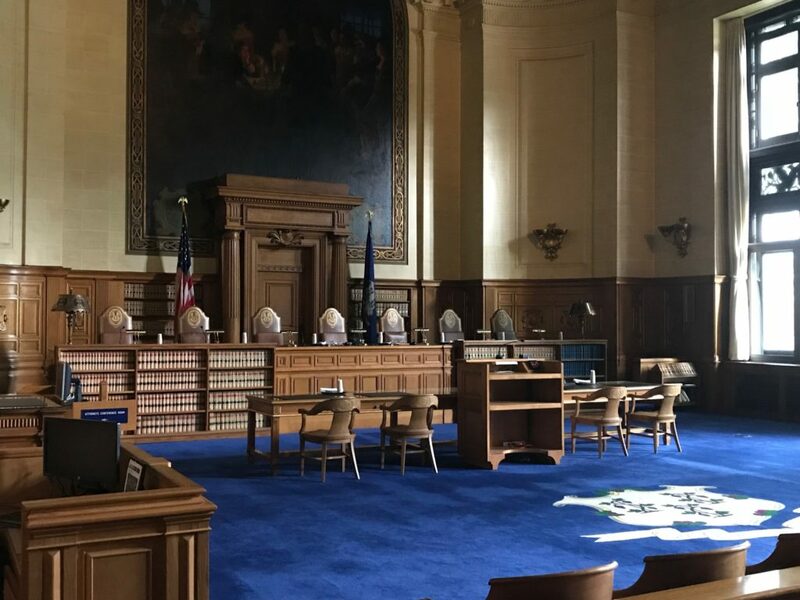 Daniel Livingston, chief attorney for the State Employees Bargaining Agent Coalition, however, compared current state law to “slavery” and said Connecticut has the right to regulate interactions between employers and employees. “Nothing in this bill interferes with the purposes of the National Labor Relations Act, whether that be to allow workers freedom to organize, the parties freedom to bargain, or even the employer the freedom to speak against the union,” Livingston wrote. If the Judiciary Committee chooses to vote on the bill, members will have to contend with past U.S. Supreme Court decisions which have upheld the NLRA over similar attempts in other states, the formal opinion of the former Attorney General Jepsen, and the possibility of Connecticut having to defend itself in court.